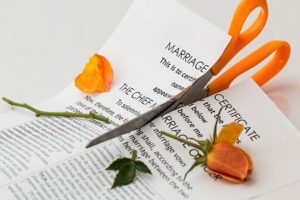 With the litigation process being so slow and expensive, people are looking at various alternatives to going to court to resolve their divorce. “Collaborative family law” (“CFL”) is one such option. In collaborative family law, the lawyers for each spouse act as negotiators rather than litigators. They are there to help the parties reach an amicable settlement without the necessity of going to court, or even threatening legal action. The defining characteristic of CFL is that if the process breaks down, the lawyers can’t represent the spouses in litigation. This means that the spouses must find new lawyers, and bring the new lawyers up to date with their divorce, which is an expensive process. This means that the lawyers lose their clients. So, in collaborative family law, there are strong financial incentives on both the divorcing spouse and their lawyers to try to resolve the issues involved without going to court. Each party tries to see the other’s point of view on various issues. Initial reports on the practice of collaborative family law indicate that it has a high success rate, and reduces the number of litigated divorces significantly. It works particularly well in small communities where there are good relations between lawyers and there is a community-wide commitment to the CFL process. Since every divorce case is different, collaborative family law may not be right for you. The process works best where both spouses are interested in discussing a fair and equitable settlement that considers both sides of the situation. It is a process that requires the cooperation of each party to making a sincere effort to negotiate the best settlement for both. Each spouse in a collaborative family law case must believe that it is better to settle their disputes between themselves rather than taking the matter to court. They must be prepared to treat each other honestly and with dignity and respect, which obviously can be difficult to do if you are going through a divorce. Collaborative family law is a process that opens the lines of communication that can’t be opened in a court environment. In a divorce case, no matter how simple or complex, communication is key to resolving disputes. CFL offers that and more.